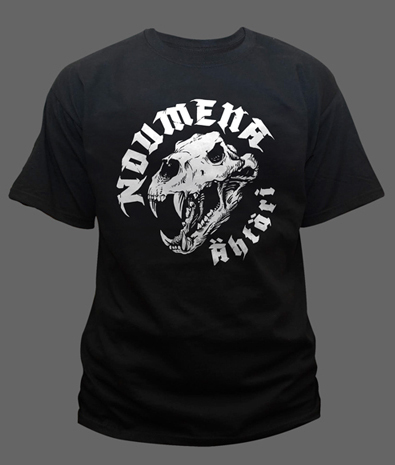 We have new and old Noumena merchandise available in Haunted Zoo webstore . T-shirts, tank tops and patches! Go and get 'em! Our new album is finally available! We want to celebrate the release with an intriguing music video of the doomy and gloomy track Kirouksen kantaja. - In "Kirouksen kantaja" dreamlike, slow melodies weave landscape over melancholic, downtempo song. Musical themes are given time to develop - in contrast to this hectic world where people's worth is measured by their ability to perform, analyzes guitarist Ville Lamminaho, the writer of the song. - Lyrically the song is about overcoming obstacles and gathering strength, "finding the flame inside", to battle the curses that most people carry, in a form or another. The music video reveals what kind of duties and incidents a Finnish park ranger faces, when searching for a lost metal bands in the woods. The story carries the audience into the heart of Finnish wilderness and mystery. The video manages to capture and visualize the themes and the atmosphere of "Myrrys". Jack of all trades, Jyrki Muromäki came up the idea, directed, filmed and edited the video. He has collaborated with Noumena earlier, with the music video of "Sleep". Myrrys is available in various digital music services (including Bandcamp) and in record stores as well. We'll update our website soon and all the shopping links in the same process. After sweat, blood and tears, tons of cigarettes and too many bad jokes, we are finally on the verge of releasing our fifth album titled Myrrys. As an appetizer, we want to serve you a single track Metsän viha in digital services and as a lyric video in YouTube. - Metsän viha is an upbeat opening track of the album, which is a great choice as a single as well. The song combines catchy melodies, badass riffs, overwhelming drumming and Andy's and Suvi's merciless growls. Lyrics deal with the humanity's ability to destroy everything vital and dear, comments guitarist Tuukka Tuomela, who has composed the song. The forthcoming album is an eloquent combination of 90's style melodic death metal and melancholic Finnish mollie tunes. The album is mixed and mastered by the metal visionary Dan Swanö, who has ensured wide and dynamic sounds. Myrrys offers a musical journey all the way from catchy upbeat moments to sturdy and desolate emotions. With melodies, riffs, sounds and lyrics, Myrrys paints a picture of a mindscape filled with contradictions and Northern despair. The album title Myrrys (old Finnish) refers to ruckus, tumult or uproar. So far, Noumena has sticked to English as lyrical language, but the album themes, including Finnish nature and cultural heritage, and intimate stories required the use of Finnish. Every band member has contributed to songwriting, and the formidable cover art is crafted by Finnish young talent Otto Lehtonen. Myrrys is released 28.04.2017 by Haunted Zoo Productions, which is an independent record label established by Noumena members. Distribution by Playground Music and Inverse Records. Released in Russia by FONO under the license from Haunted Zoo Productions. Album is released in CD/LP/DIGI. Noumena re-releases the second and third albums Absence and Anatomy of Life on 29.4.2016. Albums are released in a double CD digipak with five bonus tracks previously available only on digital format. The digipak is reissued by Haunted Zoo Productions. Absence (released in 2005) was widely acknowledged, and it was followed by band's third album Anatomy of Life already next year. These Spinefarm-era albums really defined Noumena's sound and style and enriched the melodic death metal genre with many remarkable songs. - We decided to celebrate the 10th anniversaries of both the albums with this special release. Both the albums have been out of stock for several years, so this also is a favor to our fans. Five bonus tracks from original studio sessions are included on the digipak, and those songs have earlier been available only on Triumph and Loss digital EP, comments Hannu Savolainen, the head of Haunted Zoo Productions and bassist of Noumena. Currently Noumena is working with new songs and getting ready for studio session. Band's next album will be released by the end of 2016. Haunted Zoo webstore in now open! Noumena t-shirts and ladyfits, debut album Pride/Fall and more available. Just click "Store" in the navigation bar. Everyone buying Noumena products during November will receive Bandcamp download code for Death Walks With Me and Pride/Fall albums. We are going to roam the snowy Finnish landscape during months to come. Noumena and Dark Flood shall tour a little bit in order to spread the melancholic melodeath for our fellow countrymen. Check the dates in Live-section! We decided to release our debut album Pride/Fall on various digital platforms including Spotify, iTunes, Deezer and Google Play Music. There are several good news ahead of you concerning Noumena merchandise and older releases. So stay tuned and keep the scene alive! Noumena's second album, highly appreciated Absence is finally available at Spotify, iTunes, Deezer and other digital music services! 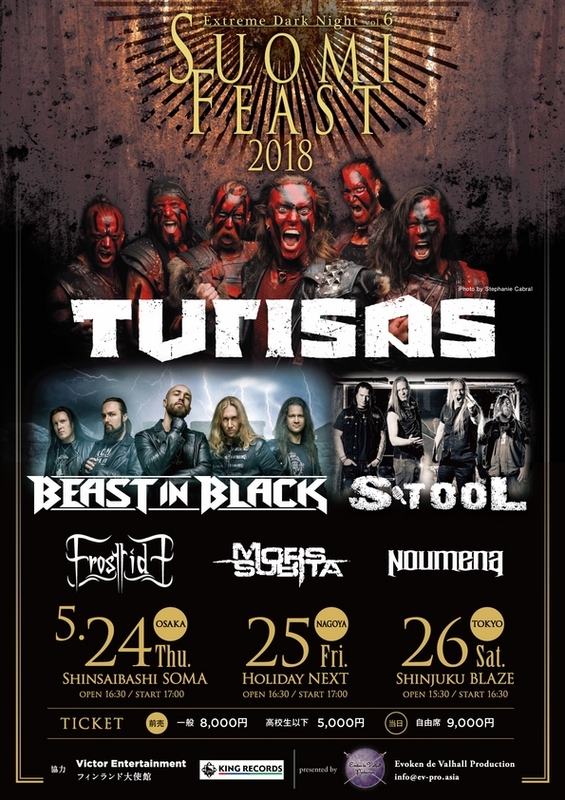 Enjoy, dear metalheads! Noumena has joined forces with Austria-based booking agency Catapult Promotion. They'll handle all bookings excluding Finland. So stay tuned for gig announcements! There are good news coming up concerning the distribution of DWWM, too! - The basic idea of the music video has been revolving in my head already for many years. To make a dreamlike, deliberate music video where we play in shades of red curtains well dressed, avoiding typical metal video manners. The background story supports Sleep's lyrics: people are born, they get older and eventually die, and for a major part they walk the road of life eyes closed trying to avoid this unavoidable fate, comments Ville Lamminaho, the writer of the song. "Death Walks With Me" out now! 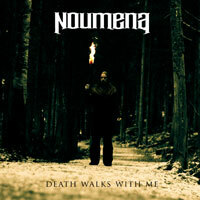 Noumena's fourth album Death Walks With Me is now released. You can find it in stores (Nordic countries and Baltic States, Russia and CIS states) and at digital marketplaces worldwide. We are working to expand the territory where you can buy CD's. In the meantime, feel free to order the album from Record Shop X. They ship it worldwide. We'll gather shopping links under Releases-section, but you can begin with BANDCAMP to stream and buy DWWM as a digital download. You are also most welcome to our new website. You'll find the basic information (gigs, news, promo shots) here and links to other Noumena-related pages in the web. For the first time ever, Noumena's debut album Pride/Fall is available for streaming and official digital download in Bandcamp for a low price of 3,50 euros (you can pay more if you want to). If you purchase the album, you'll get a previously unreleased track "Catharsis" left over from Pride sessions as a bonus. While waiting for Death Walks With Me, enjoy the stream or throw us a few bread crumbs and get the files for yourself. Every cent earned here will go towards the recording of our next album. Snare drum - what a perfect way to open the new album! You can enjoy Ilkka's snare fills in YouTube as the lyric video of Handful of Dust is now online. Tuukka Tuomela, composer of the song, comments: "We needed an upbeat and catchy song for the album. Less than two months before the studio I promised bandmates to write such a track by the next rehearsals. The song came up quite easily. It's full of nice riffs and killer melodies, a good way to begin the album. Thematically it's an anthem for the band and our fans. Writer of the lyrics, bassist Hannu Savolainen described the song as Noumena's 'United', 'Heathen Tribes' and 'Wherever I May Roam'. Horns up for that!" Want to listen how the new album begins? Handful of Dust lyric video is available at RECORD SHOP X. While listening you can pre-order "Death Walks With Me" CD or maybe the CD and limited T-shirt together. Catchy riffs and tasteful melodies ahead! We are thrilled to announce that Noumena has begun working with Mist of Light Productions from Germany. With support on management and marketing etc. our conquest of Europe will be a lot easier than before! Good times! Russian metal label FONO Ltd. has licensed "Death Walks With Me". This means the album will be released in Russia, Ukraine, Belarus and Kazakhstan on 18.4.2013. We have opened the official Noumena page in VKontakte as well: NOUMENA @ VK. Here we go! After a long and anxious waiting, Noumena is ready to release the 4th album titled Death Walks With Me. - Our new songs are heavier and gloomier than Noumena's previous albums, both musically and thematically. We have broken our old patterns and barriers. 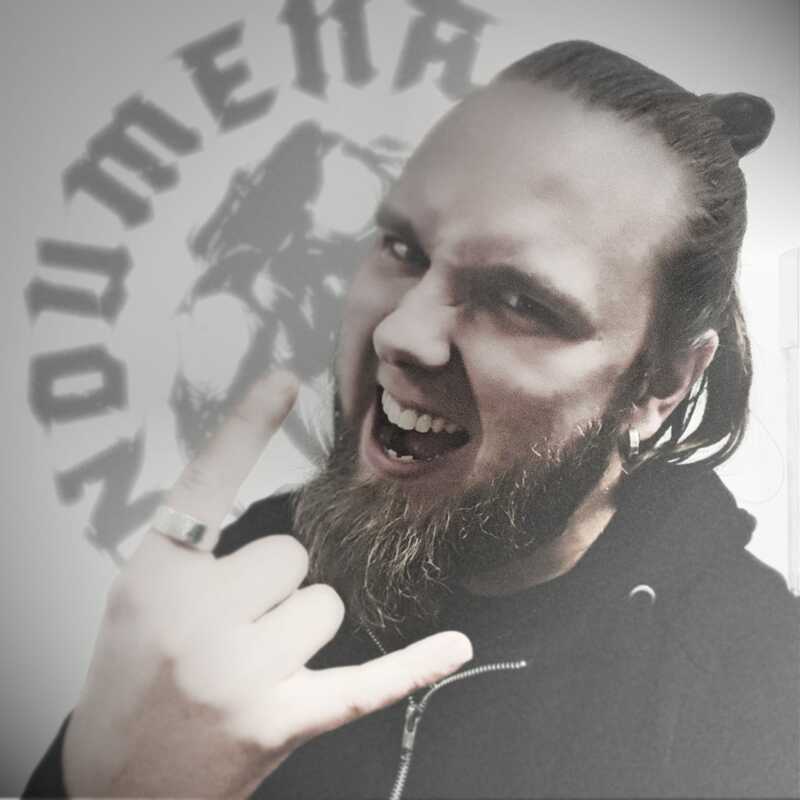 But, there are Noumena trademarks ranging from catchy and melancholic melodies to aggressive and tranquil moments, of course, says vocalist Antti Haapanen. - Great metal needs lots of forging, and we took our time. One reason for such a long pause in releasing was difficulty to find a proper label for us, Haapanen continues. The new album also introduces the new member of Noumena: Suvi Uura. She is a talented and many-sided musician, who brings a final touch to Noumena's sound and live action. Suvi's vocal delivery is wide and deep, from touching and tender singing to brutal growling. Death Walks With Me will be released by Haunted Zoo Productions and distributed by Playground Music. Release date (CD and digital) is 18.4.2013 for Nordic and Baltic countries (Finland, Sweden, Norway, Denmark, Iceland, Estonia, Latvia and Lithuania), rest of the world is TBA at the moment.